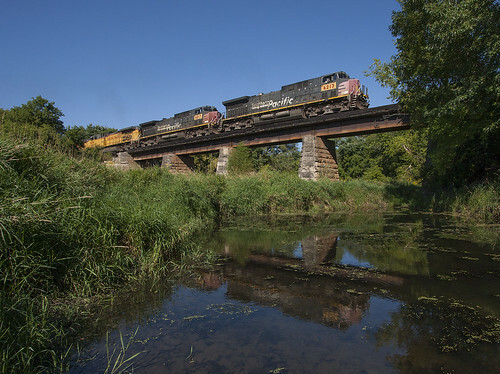 A pair of ex-SP's lead a sand train south on the Spine Line, seen here crossing the Straight River in Faribault. Accessing this spot required wading through said river... I'll bring sandals next time. This image was featured on the cover of the 2014 "Smart Search" phonebook for this area.